Peyron Strategic Communications has a 2-decade record of delivering comprehensive services in corporate communications, public and government relations, marketing communications, social media and new media. The agency has developed a reputation as a leading U.S.-based team in corporate communications, travel, tourism, sports and real estate. The PR and marketing experts at Peyron Strategic Communications know how to influence people who hold the power to affect the reputation of your organization. 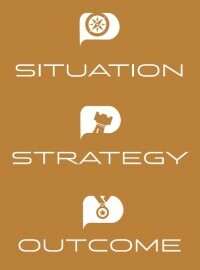 We make an everyday practice of delivering experienced strategic counsel and creative, energized tactical implementation. Visit our blog for the latest news on our clients and our team. Scott Peyron is the founder of one of the Pacific Northwest’s leading PR and marketing communications firms; counselor and strategist to Fortune 500 clients in reputation, marketing communications and public affairs. Katie Vanderbeek is the point person on many of the agency’s most dynamic client assignments, including a global start-up as well as an important regional foundation serving a large swath of Idaho, Oregon and Washington. Consulting partner George Medici joined Peyron in 2009, following a long experience as Vice President-Media Relations at Porter Novelli, based in New York. George Medici was a senior staffer for New York City mayors. Consulting partner Bryce Twitchell has energized the look and feel of companies such as Albertsons Inc., Banana Republic, Boise Cascade and Extended Systems, to name a few. Kris Lodge is coordinator of client service teams in the Peyron Travel, Tourism and Real Estate and Corporate Communications practice groups. Kris is an expert writer, editor and web project manager.